The storage chest is a large advanced storage item that is part of the logistic network. Logistic robots store items picked up from active provider chests here, as well as any items taken out of the player's logistic trash slots. 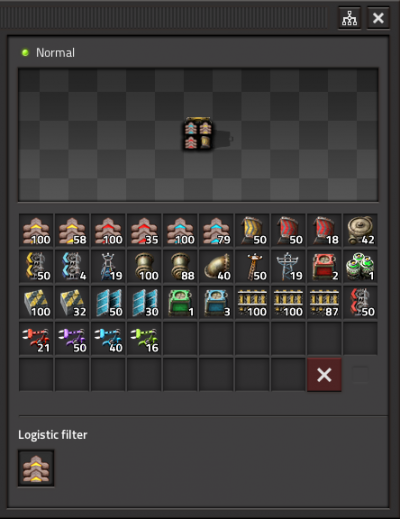 Storage chests can be filtered to only accept one type of item from the logistic network. Logistic robots will begin to fill storage chests from active provider chests if there are no other tasks available. The filter that can be set on the storage chest is respected even if items that are actively being pushed to the network can not be stored anywhere else. If a logistic robot carrying an item is unable to deliver its cargo (e.g. 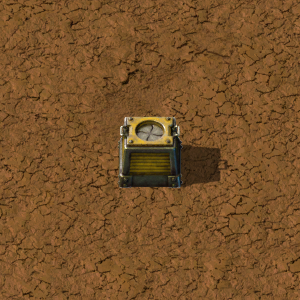 if the player moves out of range), it will drop its cargo in a storage chest before moving to other tasks. Logistic robots placing items in storage chests.